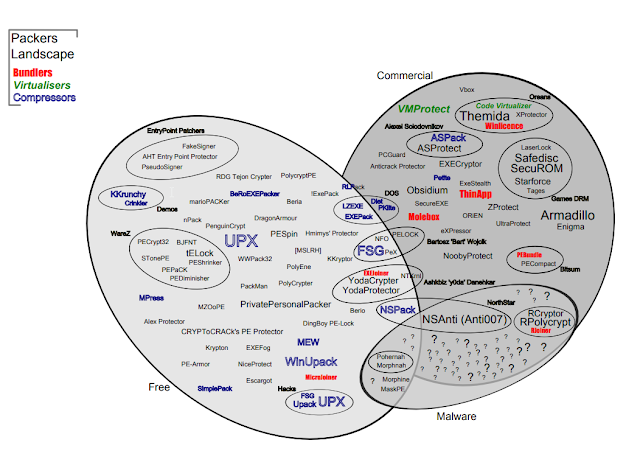 Malware authors use a wide range of techniques to avoid detection by security tools. One of the most used techniques is packing. 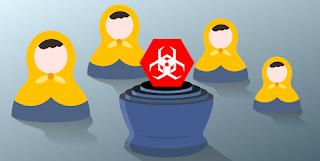 This powerful procedure allows attackers to bypass static signature detection, an important defense line of Antivirus products. Unpacking is the process of restoring the original malware code and is considered a hot topic for academic research due to its complexity. 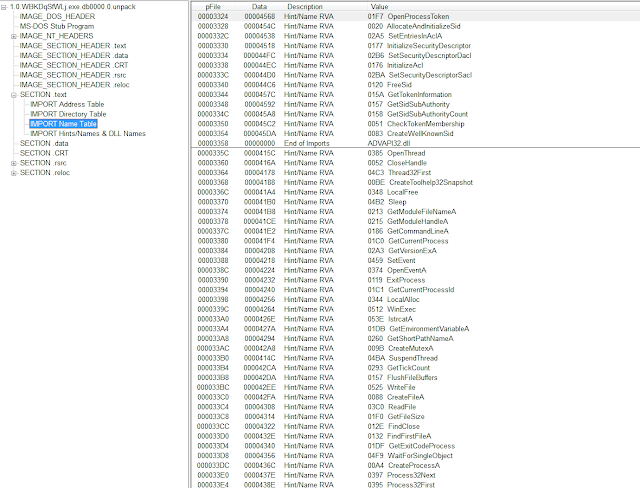 Joe Sandbox includes a generic unpacking engine since 2014. 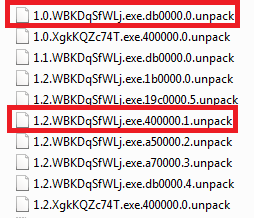 While unpacking is one problem, generic unpacking detection is another. In this blog post, we are going to outline how packing works and how the recently added unpacking detection of Joe Sandbox works. 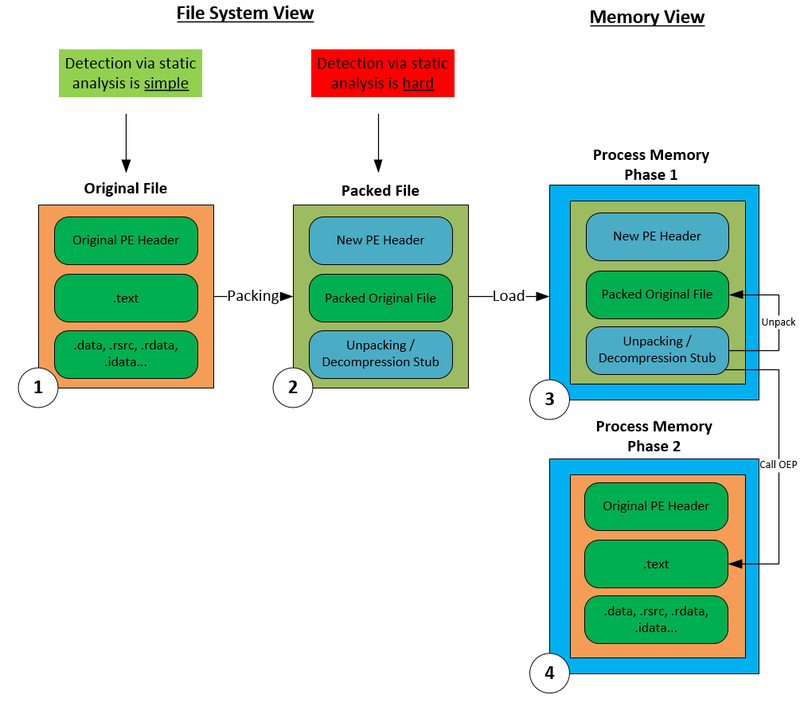 Packing is usually applied to executable files such as the Windows Portable Executable (PE) or the Linux Executable and Linkable Format (ELF). The tool which performs the packing process is called "Packer". If you look at your PE file it contains a header, a code section (.text) and some additional sections (.data, .rsrc etc). 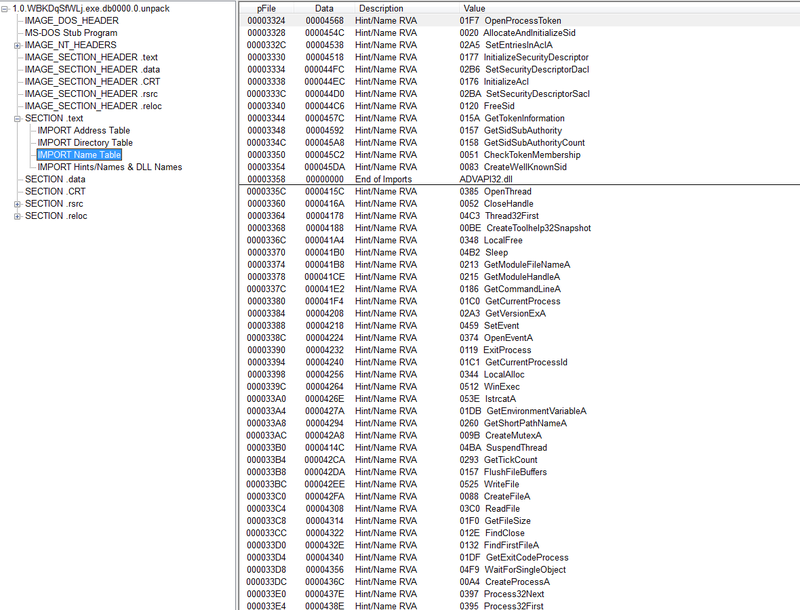 Very important, all the code is available for static analysis. 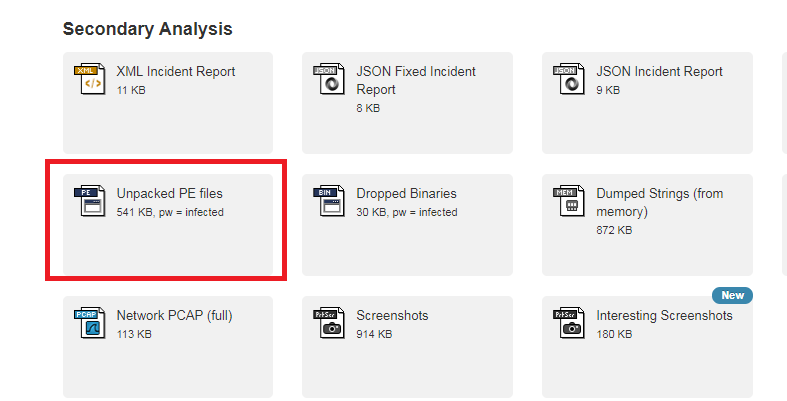 It is relatively simple to find unique code patterns in the code segment to detect the file as malicious. The packing process will generate a totally new PE file and will contain a new header. Next, the original file will be transformed. The transformation is often a compression algorithm, a cryptographic operation (XOR) or a mix of both. Often a random key is used for the transformation. As a result, each packed sample is unique. The transformed original file is copied to the new file. Finally, a small Stub code is added to the new PE file. Its goal is to reverse the transformation during execution. Since the original file is compressed and encrypted, static analysis and detection is hard. 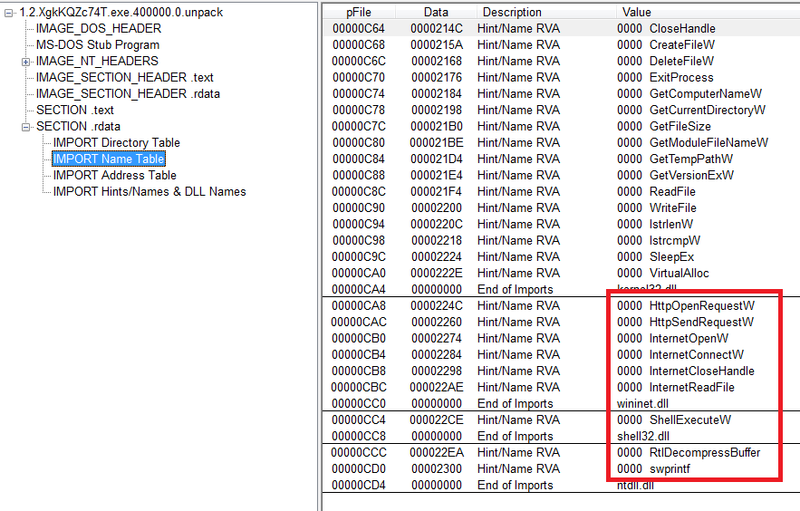 When the packed file is started it is mapped to virtual memory. 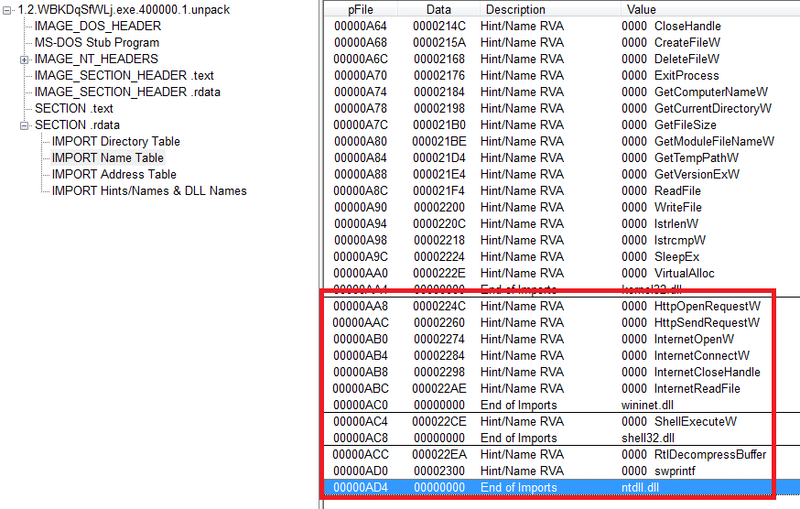 Next, the unpacking stub is called to reverse the compression and/or cryptographic operation. As a result, the original file is "restored" in memory. There are two possibilities where the file is restored. 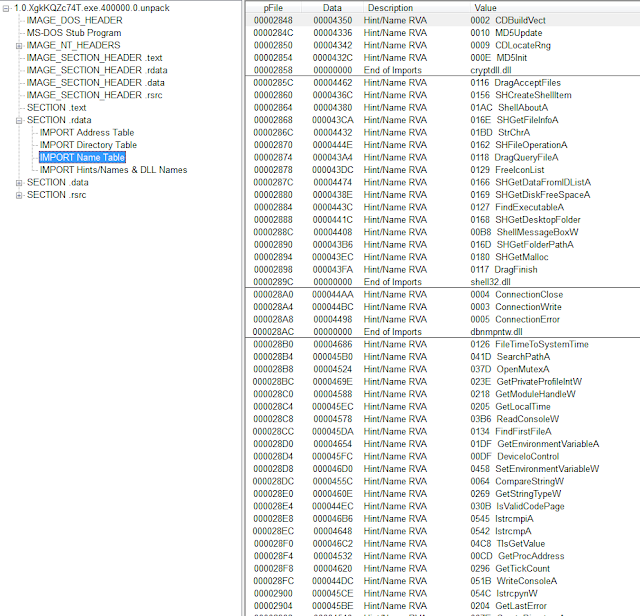 Either the complete packed PE file is replaced with the original, or it is restored on a different memory address. 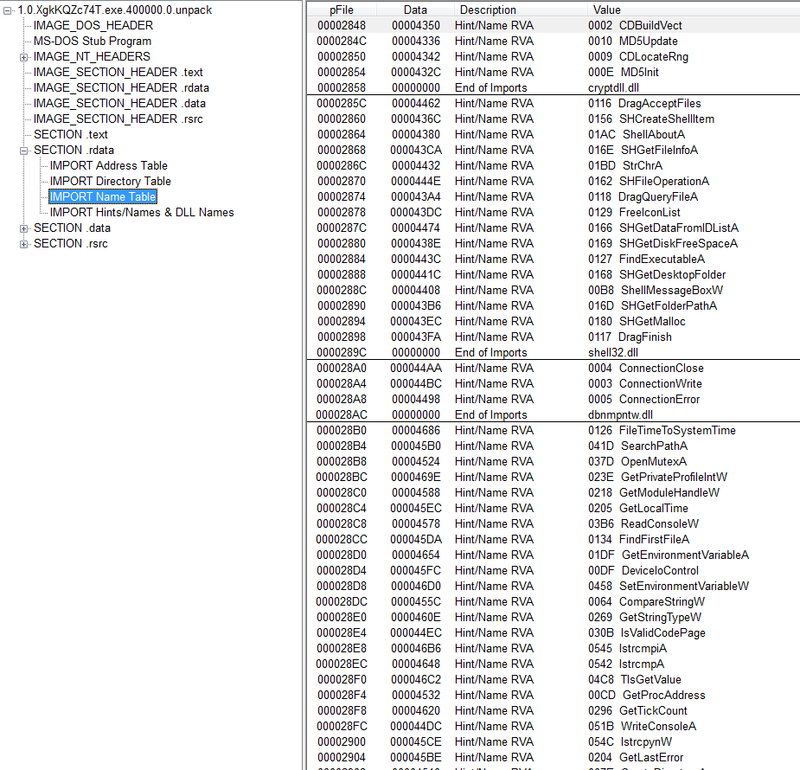 As soon as the original file is "restored", the stub will transfer execution to the "restored" file. The restored file will then execute as normal. Since most malware is packed, it not only makes sense to do generic unpacking but also to detect the unpacking process itself. This generic unpacking detection has been recently added to Joe Sandbox. In order to demonstrate its power, we will look at two different samples. 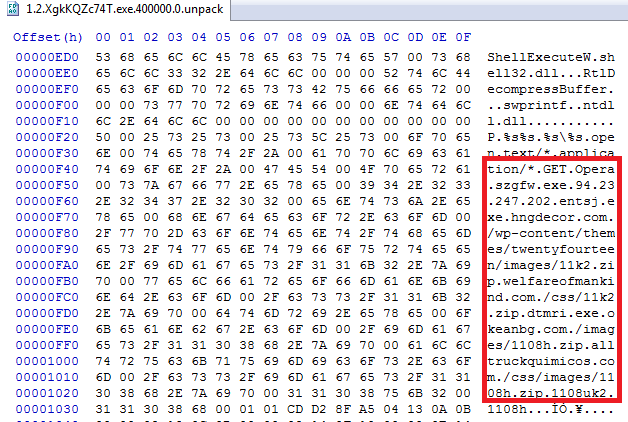 The first file with the name 1.0.XgkKQZc74T.exe.400000.0.unpack was captured before any code has been executed. 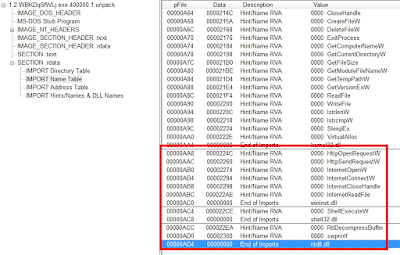 The second file which starts with the name 1.2.XgkKQZc74T.exe.400000.0.unpack was stored when the analysis finished. 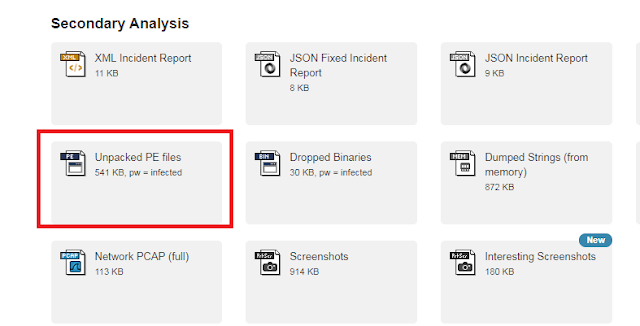 Please note that both files have been restored from the same address 0x400000.